The Mammut Chalten uses C-Change fabric, which gets more breathable as it gets warmer; two chest pockets; pit zips; extremely durable fabric; zip-out snowskirt; excellent hood movement. 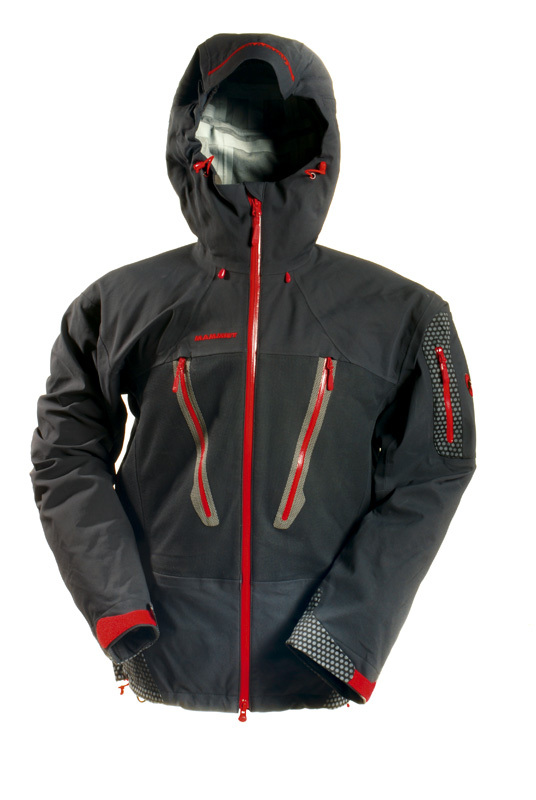 But 850g (size L); breathability does not start to improve until 18 deg C; mesh pockets are not waterproof; pockets are Napoleon style so are of limited use; hood peak needs better stiffening. The Mammut Chalten is a specialist mountaineering jacket that may be ideal for specific purposes.